Over the years, I’ve contemplated whether or not getting a therapy dog for Sweet B would be worth it. 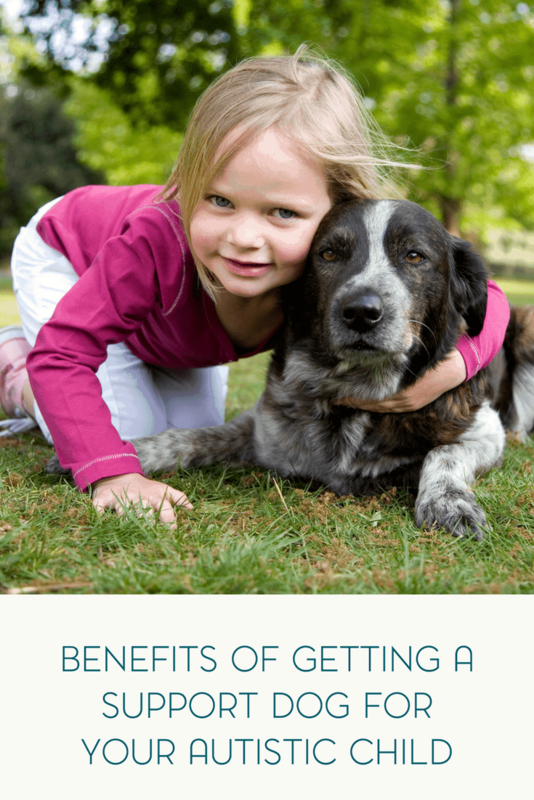 Certainly yes, I’ve always seen the benefits of having a dog. My dog was my best friend until he passed away several years ago. I still get teary eyed thinking about it because yes, he was part of the family. He was more than just a dog to us, he was family. But what about Sweet B? How would a therapy dog be beneficial for her? And is it really worth the time, not to mention the expenses, of getting a support dog for my autistic daughter? What is the difference between a Service Dog and a Support Dog? Service dogs are not-like-the-usual dogs. They are fully trained and are capable of healthy a physically handicapped person achieve independence. It’s also important to note that yes, there is a difference between a service dog and a support dog. 1. A service dog is around with their partners almost all the time so this means both of them will have an all-day all-night companion. You won’t really feel alone once you have a service dog since she is there to watch over and take care of you. Also, you won’t feel the need to ask another individual to help you with tasks. This can also help you overcome your feelings of anxiety and self-pity. You can also be assisted when you want to go around the house or when you want to go out shopping. 2. Services dogs are calm as well as well-mannered. They’re not aggressive dogs so they cannot protect you from possible danger. However, them around discourages others to have an intense approach toward the owner. Also, in case of seizure, they can watch over their owner until they can regain their consciousness. 3. Service dogs, although they are often your assistants and can assist you out in numerous ways, they are still canines. As canines, they nonetheless need exercise and playing time. If you are able to walk, it is best to take your dog for a walk. This will be an edge for you both since you walking will not only benefit them, but you too. If you just want to stay in your backyard, you can play fetch or chase. These simple things will not only maintain their life and wellness, it will also make you healthier and in shape. 4. Dogs are equipped with an emotional effect on us. These dogs provide affection during day when you feel like everything is down and you feel tired of the situation. They provide companionship, assistance and love. It can be normal that a person with disability will probably feel discouraged, stressed out or frustrated. But with a canine assistant around, they will provide you with physical and even emotional support that will help you get through down days. 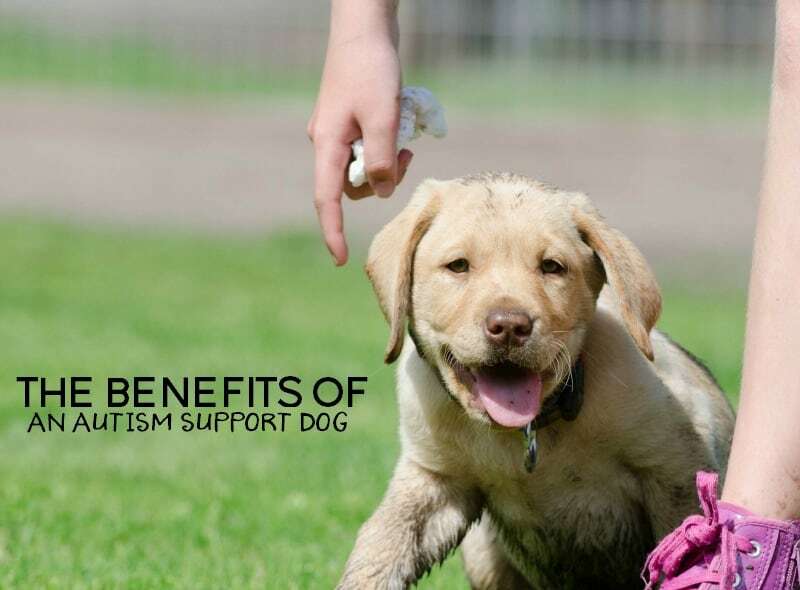 An autism support dog can recuperate the child’s ability to partake in education, social and leisure events because the canine lessens the stress associated with interrelating with other people and getting immersed in a social situation. Imagine the change that you can contribute to a life of an autistic child by helping this humanly institution. All of us can make a difference; it only requires us to open our hearts to see what’s really essential for these autistic children. Though, each child with autism is unique, many still exhibit behaviors that lead to safety apprehensions (for example, when an autistic child bolts away suddenly) and social separation within the family and among other children. For parents, this fall-outs in a very stressful daily life and failure to function normally in social affairs. For example, not being able to go to a restaurant or a mall. So are they worth the time and expense? I absolutely think so. There are several charity programs available if you’re worried about offsetting the cost. 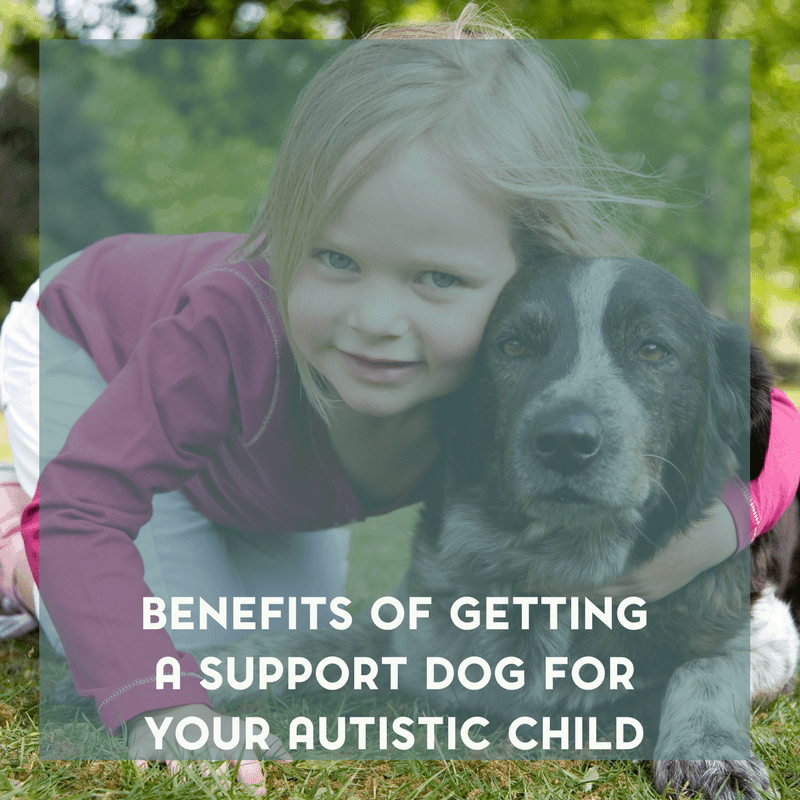 Do you have or have you considered getting a support dog for your autistic child? Welcome to Voices of Special Needs Blog Hop — a monthly gathering of posts from special needs bloggers hosted by The Sensory Spectrum and The Jenny Evolution. Click on the links below to read stories from other bloggers about having a special needs kiddo — from Sensory Processing Disorder to ADHD, from Autism to Dyslexia! Want to join in on next month’s Voices of Special Needs Hop? Click here! After our family’s dog died, I went into a deep depression. So yes, the loss is definitely a factor to consider. 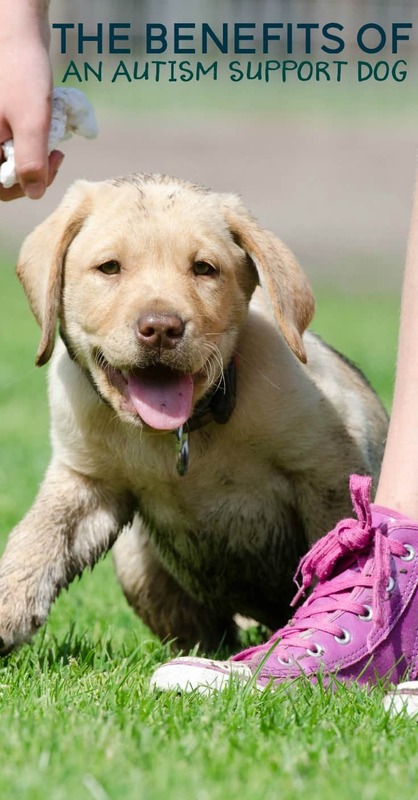 Great to see an article discussing this 🙂 We got an assistance dog for our 5 year old ASD son last year (very hard to get through a charity here in the UK so we have privately trained her from a puppy). Its without a doubt been the hardest but most rewarding thing we’ve done. The change in our son within weeks was incredible and I’m absolutely certain that he wouldn’t have made the progress he’s made without her. He’s an only child so calls her his sister!